Often in that still, quiet time of the morning when you read the Bible, the words simply capture what you feel and what you are saying in your mind and your heart. We put our trust in the Lord because we know that He loves us: unconditionally and continuously. When we let go of the control, He can show us the path and take us to the place that He has always us desired us to be. He makes the journey worthwhile. By entrusting our life to Him, we give Him the responsibility to make it progress according to His plans and His purpose. And that is the best possible place for all of us to be. It's called being in the will of God. 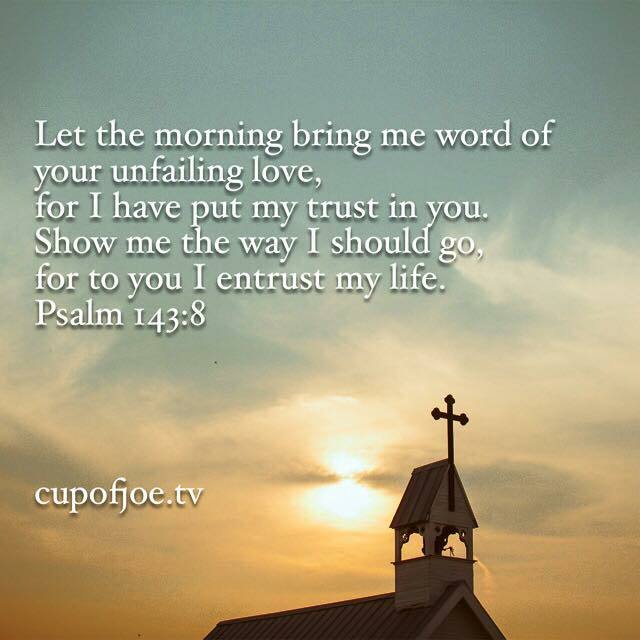 So today, remember the love that is unfailing and trust God to show you the way. All things can be mixed and mingled together for your benefit and His glory.